Minkota Holsteins Opportunity Sale in Howard Lake, Minnesota by Mid American Auction Inc. NOTE: As the 6th generation on this dairy farm, Sean and Linda and their family continue the legacy established since 1880. Linda’s parents, Stanley and Geneva Diers, began registering cows and DHIA testing in the 60’s, developing many deep cow families still in the herd today. Over the years, Minkota Holsteins has sold several head privately off the farm, establishing a reputation of honesty and integrity, producing many satisfied customers and return buyers. 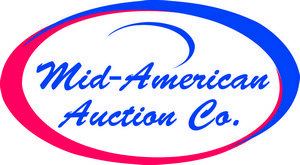 Mid-American Auction Company is honored to be selected to conduct the Groos family’s Minkota Opportunity Sale. This herd has been on test for 60 years with current official records indicating a herd average of 2X 26,861 milk, 3.7% 1007 fat and 3.2% 846 protein, 86 pound tank average. Several cows milking from 90 pounds to 130 pounds per day. Past 12 month SCC at 208,000. Most cows are fresh since September 1st and are in full production. This herd has been exclusively AI bred for over 60 years and mated for decades using leading sires, including but not limited to: Monterey, Mogul Numero Uno, Boastful, Lotto-Max, Spirit, Troy, Cabriolet, Bulls Eye, King Boy, among others. Minkota Holsteins has received the Progressive Genetics Award for 6 years. This herd will include several daughters of excellent cows with a large amount of fancy VG two and three-year-olds just fresh. Current BAA 106. Excellent herd health program, all Bangs vaccinated, cows are milked in a step-up parlor and have beautiful udders, feet, legs and great dispositions making their transition to any type facility much easier. Along with a great set of young milking cows, we offer a select group of springing and bred heifers as well as a nice group of show heifer prospects from leading sires and out of top Minkota dams. Whether you are searching for your next potential excellent cow or simply are in need of more milk, we strongly urge you to mark this date on your calendar and make plans now to attend. For your catalog, please phone (320) 760-2979 or view online at: www.midamericanauctioninc.com. Sale will be held under cover in semi-heated tent, but please dress for the weather. In the event of severe weather, please listen to KASM 1150 AM Albany or view our website for further information. Thank you! Aster, 85 Pt. 2-Year-Old, now fresh as a 3 yr. old with 84 lbs. first test. She is a SuperShot backed by a Mogul and a Crown with over 1300 lbs. fat. Delores, 85 Pt. 2-Year-Old Monterey, out of an excellent 90 Pt. Superstition, due in August to Imax, sells along with her fancy June yearling heifer by King Tut (Becca). Karat, 4-Year-Old 84 Pt. Predestine, fresh November, milking 130 lbs., her dam is an 87 Pt. Escalade with records over 29,000 lbs., 2 yr. old daughter by MVP also sells 4 months fresh (Krystal). Lil-Dipper, 2-Year-Old Lotto-Max, just fresh in December with 80 lbs. first test, her second dam has 273,000 LT, she sells with her twin sister, Big Dipper, both carrying an impressive pedigree. Love Story, 85 Pt. 4-Year-Old Equation, will be fresh by sale, her dam is the excellent 90 Pt. Surprise with records over 31,000 lbs. Bonsai, Top heifer, genetically in the herd. She is a P9 heifer with a PTPI of +2513. Sired by JoSuper with over +3200 lbs. milk. On the maternal side, she is out of a KingBoy dam with an 87 Pt. Redburst granddam. Located 1 mile south of Howard Lake, MN on County Tar #6 (located just ¼ mile north of the HLWW High School on County #6). Follow the Mid-American Auction Co. signs; roads will be plainly marked.